Raspberry leaf tea has long been considered a woman’s tea as it reportedly works to balance hormone levels and reduce the symptoms of both PMS and menopause, but it offers a host of health benefits for men too. Raspberry leaves provide ample amounts of vitamins C, E, A and B, is high in potassium, calcium and magnesium, and contains many trace minerals like zinc, iron, manganese and chromium. Its antioxidant properties makes raspberry leaf tea an excellent choice for promoting overall health. Raspberry leaf tea is made form the leaves of the raspberry plant, most commonly the red raspberry. This perennial plant produces an abundance of berries and foliage along an arching cane. While the berries are harvested and eaten fresh or cooked in desserts and jellies, their life is short lived. The leaves can be harvested from spring until fall and used either dried or fresh to make tea. The American Red Raspberry (Rubus idaeus L. ) grows wild throughout the United States except for the extreme south. There are many cultivated varieties available on the market. What is Raspberry Leaf Tea Good For? Raspberry leaf tea can be used a a general health tonic, but there are several more common uses for raspberry tea. PMS – Raspberry leaf tea is thought to relieve symptoms of PMS, such as depression, cramping, irritability and mood swings. Menopause – Raspberry leaf tea is thought to relieve hot flashes and mood swings common during menopause. Pregnancy – Many doctors recommend drinking raspberry leaf tea in pregnancy to shorten labor, relieve the pain of contractions, treat morning sickness and even to promote good milk production. A 1999 study conducted at Meadfield Hospital concluded that raspberry leaf tea produces no negative side effects during pregnancy and may decrease the incidence of either pre-term or post-term labor. It also may reduce the chances of the membranes rupturing early, the need for a C-section or interventions such as the use of forceps or vacuum births. Digestion – Raspberry leaf tea is often used to ease digestion, including diarrhea and gas. 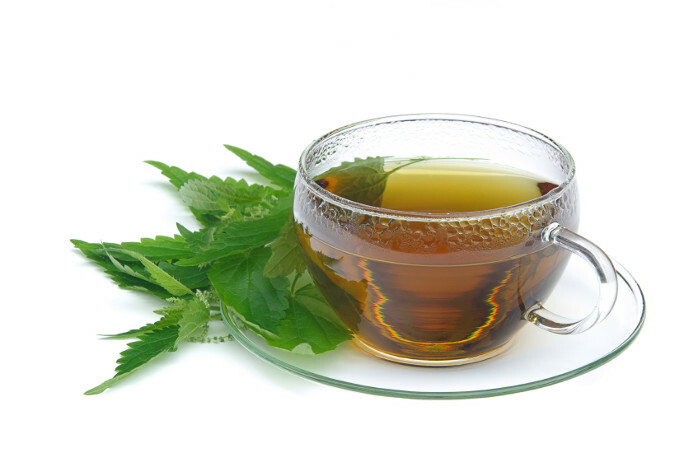 Fertility – Raspberry leaf tea is thought to increase fertility. Health Tonic – Raspberry leaf tea is high in antioxidants and is often used as a tonic to boost overall health. What Does Raspberry Leaf Tea Taste Like? Many people are surprised to learn that raspberry leaf tea does not taste like raspberries. While some describe the flavor as that of common tea, others say it has a distinct herbal flavor. 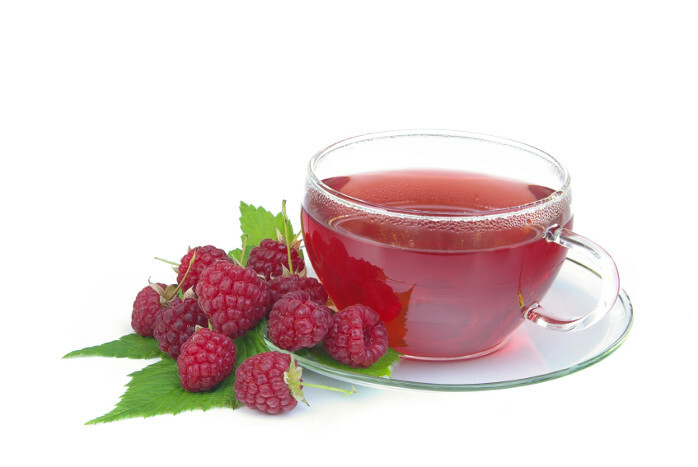 Adding honey or a splash of cranberry or orange juice appears to be the preferred method of drinking raspberry leaf tea, especially if you are drinking it cold. Mix the dried herbs together and store them in an airtight container in cool, dark area. To brew tea, add 1 to 2 teaspoons of the tea mixture to a cup and cover it with boiling water. Allow it to steep for 5 minutes. Strain the leaves from the tea and sweeten with honey. To make iced tea, steep ½ cup of the tea mixture in one quart of water for 4 hours. Add enough water to make one gallon and store the tea in the refrigerator. Serve as is or add sweetener and a squeeze of fresh lemon or orange. While some people enjoy the flavor of raspberry leaf tea, we found it bland without the addition of more flavorful ingredients like cranberry juice or orange juice, but feel that it is one tea worth drinking for its healthy benefits, even if you need to enhance the flavor to suit your taste buds. When the first settlers arrived they found black raspberries growing wild in America. Raspberries belong to the rose family. Black raspberries and blackberries are two entirely different fruit with their own distinct flavor. Raspberries can be golden, purple, black or red.